This top-class hotel is located in Bangkok's Rattanakosin Island, a historic district of Thailand's capital, just 25 km from Bangkok International Airport and close to Bangkok city centre and many of the premier attractions. 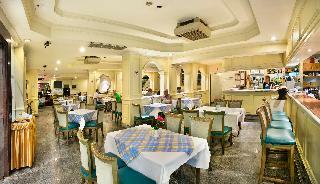 The hotel has a lobby with 24-hour reception, a hotel safe and a currency exchange facility. There are several restaurants, WiFi and room and laundry services, as well as parking, kids' club and shuttle service to the main shopping centre. 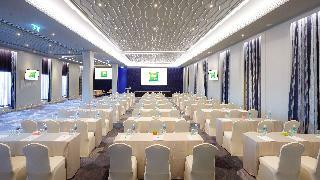 A modern Business Centre and Meeting Rooms cater to all guests' business needs. Hotel rooms are fully - equipped and include Deluxe Rooms and Suites. Individually-adjustable air conditioning, balcony or terrace all feature. Swimming pool with side snack bar and lobby lounge provides an excellent start to the evening's entertainment. 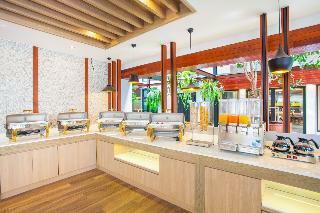 Wild Orchid Villa – A popular travellers guesthouse located near the famous Khaosan Road. Newly renovated with 80 clean spacious cozy rooms decorated in delightful Asian style and equipped with modern comforts such as Cable TV hot shower comfortable beds and romantic balconies.Centrally located in downtown Bangkok a 3 minute walk to Khaosan Road and within walking distance to the Old Bangkok Grand Palace Emerald Buddha Golden Mountain and the legendary Chao Phaya River where you can board river boats to major shopping centres.We have an exciting restaurant serving delicious Thai and international food. The unique décor creates the impression of an outdoor patio a comfortable and convivial meeting place with great atmosphere. 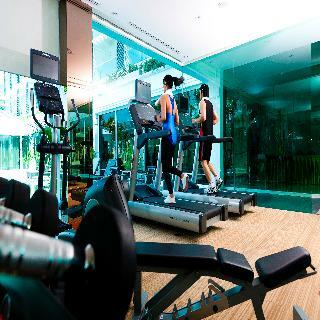 This hotel is located in the center of Bangkok and has many services that will make your stay an optimal experience. 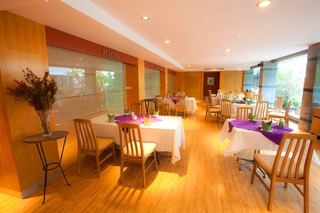 Being located in the center, you will have an excellent access to the main attractions of the city. 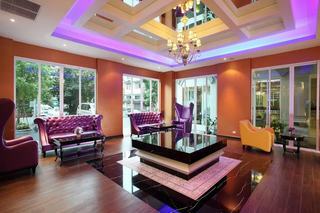 The rooms are spacious, bright, and they are decorated in a modern style with cheerful colors. All rooms have a private bathroom, TV and work desk. 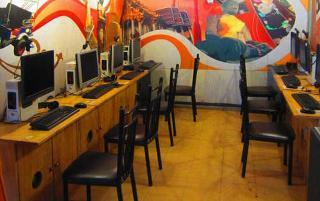 The hotel also offers currency exchange facilities, a hotel safe, a laundry service and Internet access. 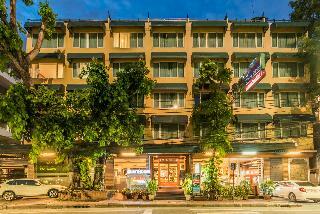 Specially designed for the gay community, this comfortable hotel is in Khao San. There are a total of 80 accommodation units on the premises. This establishment was fully refurbished in 2017. Guests may take advantage of the Wi-Fi connection throughout. The hotel provides 24-hour reception. New Siam Riverside offers a specially designed family room including a cot for children. New Siam Riverside has been designed to make guests' stay as easy as possible and features some disability-friendly bathrooms. Pets are not permitted on the premises. Travellers arriving by car will appreciate parking available at New Siam Riverside. Travellers may appreciate the airport transfer service. Located less than 600 m from Khao San Road, Villa Cha-Cha Phraathit offers cozy rooms with air conditioning and a minibar. With less than 1.5 km from the property, guests can find Bangkok City Pillar and 1.3 km from Temple of the Emerald Buddha or Wat Phra Kaew. During the stay, guests have access to free WiFi.Fitted with a flat-screen cable TV and a safety deposit box, all rooms come with a refrigerator and an electric kettle. En suites bathrooms are equipped with a shower, a hairdryer and free toiletries.For guests' convenience, Villa Cha-Cha Phraathit provides a 24-hour front desk, ticketing and room service.Nearby local attractions in the neighbourhoods include Sanam Luang (560 m), Wat Pho (1.8 km) and Vimanmek Mansion (2.4 km). Suvarnabhumi Airport can be reach within is 29 km.Local and international dining outlets are available within a 5-minute walk from the property.